In these terms of sale, “we” means WoodenToyShop (and “us” and “our” will be construed accordingly); and “you” means our customer or potential customer for products (and “your” will be construed accordingly). 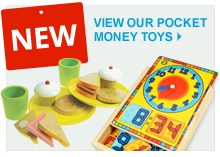 WoodenToyShop.co.uk sells wooden toys and games for children. Please refer to the specific product pages for a full description of any products you wish to purchase. Prices for products are quoted on our website. The website contains a large number of products and it is always possible that some of the prices on the website may be incorrect. We will verify prices as part of our sale procedures so that a product's correct price will be confirmed at the checkout. In addition to the price of the products, you may have to pay a delivery charge, which will be as stated at the checkout. Payment for all products must be made by Sage Pay, PayPal or any method detailed on the website from time to time. We will use reasonable endeavours to deliver products on or before the date for delivery set out in our order confirmation or, if no date is set out in our order confirmation, within 14 days of the date of our order confirmation. However, we cannot guarantee delivery by the relevant date. We do however guarantee that unless there are exceptional circumstances all deliveries of products will be dispatched within 7 days of the later of receipt of payment and the date of our order confirmation. (b) receipt by us of full payment of all sums due in respect of the products (including delivery charges where applicable). In order to cancel a contract in this way, you must give to us written notice of cancellation. You may also give us notice via telephone or another durable (non-written) medium. If you are a business customer, our aggregate liability to you under the terms of sale will not exceed the greater of: (a) the total amount paid or (if greater) payable by you to us under the terms of sale. Promotional vouchers may only be redeemed against items in stock for the duration of the promotion. We cannot take advance orders or accept reservation for out of stock items. You may not assign charge, sub-contract or otherwise transfer any of your rights or obligations arising under these terms of sale. Any attempt by you to do so will be null and void. We may assign, charge, sub-contract or otherwise transfer any of our rights or obligations arising under these terms of sale, at any time – providing where you are a consumer that such action does not serve to reduce the guarantees benefiting you under these terms of sale. Our full name is RJ Retail Ltd trading as WoodenToyShop.co.uk. Our company registration number is 7230045. Our email address is info@woodentoyshop.co.uk. Our VAT number is 994 6369 54. We are registered as RJ Retail Ltd with Companies House for England and Wales. Our registration number is 7230045. The full name of our company is RJ Retail Ltd.
We are registered in England & Wales under registration number 7230045. You can contact us by email to info@woodentoyshop.co.uk. [(a) information about your computer and about your visits to and use of this website (including your IP address, geographical location, browser type and version, operating system, referral source, length of visit, page views and website navigation.) All such data is anonymised and is used purely for reporting and research purposes. [(c) information that you provide to us for the purpose of registering with us (for example: name; address; and postcode) or for the purposes of purchasing goods from our website. 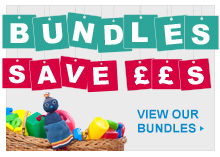 Remarketing allows third party vendors, in this case Google, to show highly relevant messages (such as ads displaying a special offer on wooden toys) to people who've visted these pages as they browse sites across the Google Display Network or search on Google. You may choose at any time to block our cookies. We will shortly be providing our users with an easy way to block or allow cookies when they enter our website. Blocking all cookies may, however, have a negative impact upon the usability of many websites, including this one. Click here to manage your cookies settings when using Firefox. Click here to manage your cookies settings when using Chrome. Click here to manage your cookies settings when using Safari. Click here to manage your cookies settings when using Opera. Below is a representative list of the cookies we collect at WoodenToyShop.co.uk. (k) Feefo: as part of our efforts to improve our service and to listen to our customers we will be using Feefo to help generate independent and objective feedback. Customers will be able to opt out of receiving emails from Feefo upon receipt of a feedback request. We provide the following information to Feefo: customer name; date of order; order reference number; product(s) purchased; and customer email address. Feefo is fully compliant with and operates fully within the spirit and terms of the Data Protection Act. Feefo only uses these details to generate and send feedback emails. You have the right to request corrections to inaccuracies in any personal information we hold about you. You have the right to request the blocking and/or deletion of any personal data we hold about you. The data controller responsible in respect of the information collected on this website is RJ Retail Ltd trading as WoodenToyShop.co.uk. Our data protection registration number is Z2496725.